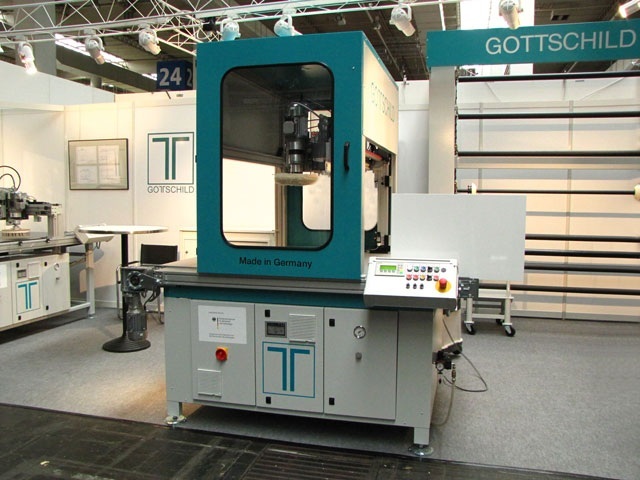 The Gottschild HBS 3D robot is the optimal sanding polishing machine suitable for 3D parts with curved surfaces which can not be machined with our standard machines. We have developed an own software for the sanding polishing robot. At the beginning the robot has to be taught the respective part form manually (Teach-In Procedure). The data for the different workpieces are saved and can then be recalled from the data store as needed. The tool heads can be changed quickly and easily so that the robot can be used for both, sanding and polishing. All grits available on the market can be used for the sander head. 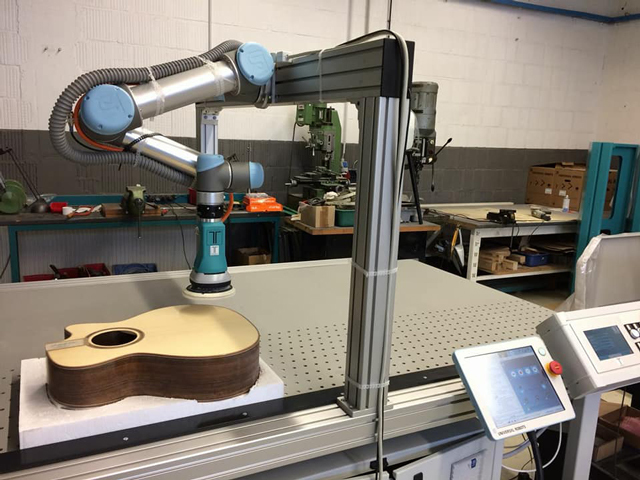 The clear user interface of the HBS Robot is characterized by simple handling. The machine works with low-priced standard polishing kits. This results in no high subsequent costs. As an option the robot can be equipped with an automatic size detection of rectangular panels, enabling an adaptation in the case of chaotic loading without loosing time. The measuring of the workpiece size is made with sensors during infeed of the part. The size recognition is only possible for rectangular parts with flat surfaces. The machining of 3D parts can only be done via the teach-in procedure. Further the robot can be optionally equipped with a bar code scanner. The scanner reads the bar code on the back of the parts when they are on the infeed roller conveyor. The corresponding working program is called up automatically via the barcode. We have further developed our proven sanding and polishing machines mechanically and software-technically. The new generation of our sanding polishing systems requires less maintenance and with our more then 20 years of experience in sanding and polishing we have further optimized the surface processing with our machines. We were the first ones who developed this type of polishing and sanding machine. Even if the machines, which were copied by our competitors, at first glance look similar, they are very different in details from our machines. Gottschild Polishing and Sanding Systems offer a wide range of application possibilities, from production of high-gloss furniture components, MDF high gloss panels, cabinet doors to color glass, metal and Corian®. For example, we have developed our sanding polishing machine HBS 3D on customer's request for processing of lacquered speaker cabinets. The use of our proved sanding and polishing tool heads results in an optimal, evenly high gloss surface. The time saving compared to manual work is considerable.